The one who is a friend of Jesus will be the target of the enemies of Jesus (15:18-25). By being a friend of Jesus, the disciples also inherit his enemies! This too is a function of a friend in the ancient world, to be a friend of one person was to also gain enemies. Jesus makes it clear to his disciples identification with Jesus is to accept hatred from the world, and that hatred will develop into a very real persecution. This description of persecution returns to the metaphor at the beginning of the chapter. The friends of Jesus will be attacked by the world, but this is to be accepted as “pruning” from God. The disciples of Jesus can be expected to face persecution because of their association with Jesus. In fact, it is the claim that Jesus, and only Jesus, is the Lord which opens the disciples up to persecution. For a Jewish audience, to call someone Lord seems to violate the foundational principles of the Hebrew Bible as found in the shema. If the Lord is One, and Jesus is Lord, then he must be the One God. While that has been the claim of John’s gospel all along, that is a shocking statement for the Jewish world to accept. We know from the book of Acts that there was a suppression of the apostolic claim that Jesus is Lord. For a Roman audience, to call someone Lord seems to violate the foundational principles of the Roman empire. Domitian, the emperor who ruled when John wrote his gospel, identified himself as Lord and God, Nero called himself as the Savior of the World, and even Augustus was described as the divine son who brought peace to the world. Since Christians were making these same claims about Jesus, they were in danger of persecution from Rome for impiety and treason. Jesus does not promise his disciples a comfortable life, free from trouble. He does not promise them good health, a fat bank account and a mega-church in Texas. He promises them that if they are really his friends, and if they are bearing witness to his words, and if they are really keeping his commandment to love one another, the world will hate them. Jesus redefines the disciple-teacher relationship in John 15:14-17. His disciples are no longer to be his servants, they are his friends. 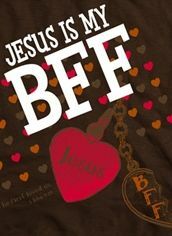 We tend to read the word “friend” through the grid of contemporary friendships, that Jesus is a sort of “best friend” (or as my daughters say, Jesus is out BFF). Despite the popularity of this mental picture, it waters down what Jesus is saying so much that we are in danger of losing his point. I want suggest that the original audience would have heard “friendship” as a statement of status. “Friendship” in the Greco-Roman world was a statement of social status, involving far more that the modern term. There are only three categories of people in the ancient world, friends, enemies, and people you don’t know yet. To illustrate this, I list below several lengthy quotations from Greek writers describing true friendship. First, friendship implies loyalty (Isocrates, Dem. 1, Xenophon, Memorabilia, 2.6.1). A true friend is loyal to his friends beyond what would be expected in other relationships. Isocrates, To Demonicus 1.1 In many respects, Demonicus, we shall find that much disparity exists between the principles of good men and the notions of the base; but most of all by far have they parted company in the quality of their friendships. The base honor their friends only when they are present; the good cherish theirs even when they are far away; and while it takes only a short time to break up the intimacies of the base, not all eternity can blot out the friendships of good men. Isocrates, To Demonicus 1.25 Confide in them about matters which require no secrecy as if they were secrets; for if you fail you will not injure yourself, and if you succeed you will have a better knowledge of their character. Prove your friends by means of the misfortunes of life and of their fellowship in your perils; for as we try gold in the fire, so we come to know our friends when we are in misfortune. You will best serve your friends if you do not wait for them to ask your help, but go of your own accord at the crucial moment to lend them aid. Third, friends share resources. (Aristotle, Rhet 1.5.16; Marital, Epigram 2.43.1-16; Diogenes Laertius, Vit 7.1.124). Friends do not ask for favors or loans, they ask to share resources with their friends, even if there is no expectation of return. Aristotle, Rhet 1.5.16 A friend is one who exerts himself to do for the sake of another what he thinks is advantageous to him. A man to whom many persons are so disposed, has many friends; if they are virtuous, he has worthy friends. Diogenes Laertius, Vit 7.1.124 And by friendship they mean a common use of all that has to do with life, wherein we treat our friends as we should ourselves. They argue that a friend is worth having for his own sake and that it is a good thing to have many friends. In John 15-17, Jesus declares his loyalty to his disciples as friends and reminds them that he has been sharing with them everything that the Father has revealed to him. In addition, Jesus is leaving to prepare a place in the Father’s house for his friends (14:2), and that he when he is gone he will endow them with the resources they need to do the task they have been called to preform, the Holy Spirit (14:26, 16:12-15). Friendship also helps to explain the very difficult line “ask whatever you want in my Father’s name he will give you” (15:16). Since Jesus and his disciples are in the same circle of friends, they share resources at the Father’s disposal. By entering a friend-relationship with the disciples, Jesus gives them access to his own “friend network” and family. Since Jesus is the Son, the disciples now will have direct access to the Father. A student was on the level of servant to the teacher, there was almost nothing that a teacher could not ask his disciple to do for him. Jesus rejects that sort of relationship, serving his disciples humbly (washing their feet) and then laying down his life for his friends. By describing the relationship of the disciples as a “friendship” as wide-reaching implications for mutual care. One is responsible for a friend at a deeper level than for a servant. For example, friends share material wealth with each other. In a master / servant relationship, one does a favor with the expectation of a return on that investment. But friends are to serve one another without the expectation of a returned favor. In a Greco-Roman context, you are not supposed to say “I owe you one” to your friends. Jesus has demonstrated this new relationship by washing his disciple’s feet. He has lowered himself below their level, showing that he does not consider them to be his servants. Instead they will all serve each other as friends! Owning a vineyard is a labor intensive business. To grow grapes for making wine the owner of the vineyard must invest a great deal of time and money to cultivate vines in the right soil, in the right location, hoping for perfect weather and sunlight in order to bring in a good harvest with is fit for making wine. 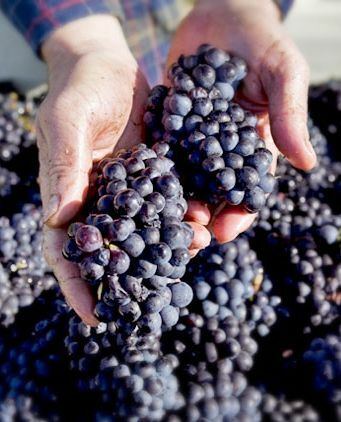 It takes years for a vineyard to produce sufficient fruit to make a good wine. Sometimes it takes as many as ten years before new vines are mature and ready for wine-making. 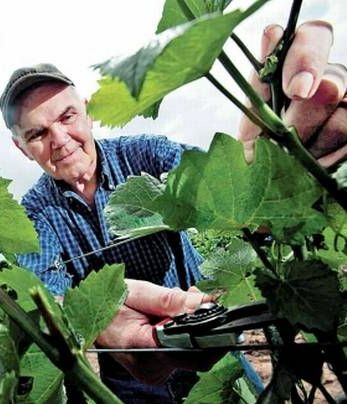 During the process the vineyard owner must carefully prune his vines and care for the daily, inspecting for disease or pests. There is a joke among vineyard owners: how do you make a small fortune with a winery? Start with a large fortune and buy a winery. Vineyards were lucrative in the ancient world, and wine-making was a well known art to most people in the ancient world. It is little wonder that the image of a vineyard was associated with God’s care for his people. Like a shepherd with his sheep, everyone knew the kind of work went into a well-maintained vineyard and the production of good wine. In this series of parable-like sayings in John 15, Jesus describes God as the owner of a vineyard in which Jesus himself is the vine and his disciples are the branches. This is a vivid image for the relationship of Jesus and his disciples as well as the on-going relationship of Jesus to his disciples in all ages. We will see in these verses Jesus’ intimate relationship with his disciples will result in both friendship with Jesus, but also enmity with the world. This is Jesus’ final “I am” statement in the Gospel of John. As with the others, Jesus is evoking a very clear metaphor from the Hebrew Bible and applying it to himself. In the Hebrew Bible, Israel is described as a vineyard planted by the Lord (Isa 5:1-7, Ps 80:8-16, Jer 2:21, Ezek 15, Hos 10:1). This metaphor is used in Second Temple Period literature as well (Sirach 24:17-27; 2 Bar. 39.7). In each of these texts God is the one who planted the vineyard, then he entrusted that vineyard to his people Israel. There is an emphasis on the loving care with which God planting the vineyard, providing all that it needed to succeed But Israel did not fulfill their role as custodians of the vineyard. As a result it is destroyed. In Isaiah this is a prophecy of the coming destruction of Jerusalem, as is the worship reflection on Israel’s history in Psalm 80. Jesus used the image of a vineyard in a parable during his teaching in the Temple just a few days prior to the last supper (Mark 12:1-12). In this parable he makes a similar point, that God is the one who established Israel as a vineyard and he is the owner of the vineyard. When the Messiah came to the people of God, he expected fruit but there was none. There are several parables which describe the eschatological judgment as a time of harvest, when the wheat will be collected and stored in the barn, but the weeds will be gathered and burned on a fire. The metaphor is adapted here in John 15 and applied to the disciples as a New Israel. The owner if the vineyard is still God, but Jesus develops the idea of the vine in much more detail than the Hebrew Bible. The vines and branches have an intimate relationship – there is no life for the branch apart from the vine, it must remain in the vine in order to have life. But the fate of the branch is also tied to the vine. Since Jesus will suffer, so too will his followers. 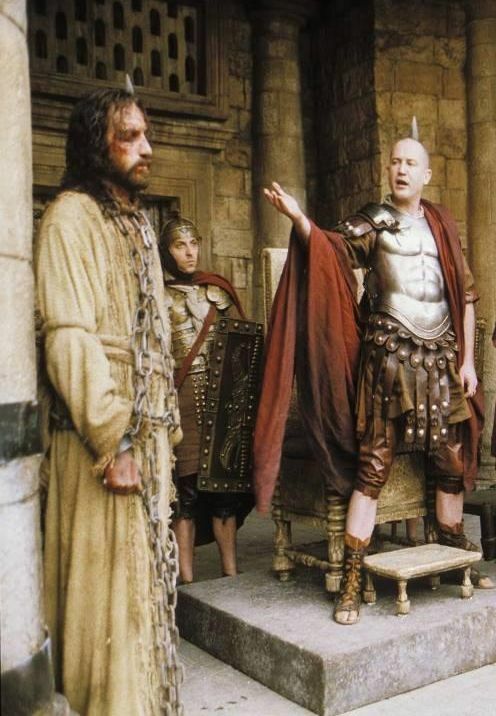 Jesus knows that the sort of abuse he is about to endure will soon be transferred to his disciples. If they abide in him, then they will suffer just like he does. Jesus has redefined the “vineyard” as himself and he will succeed in fulfilling the covenant as the true Israel. While Israel failed as the custodians of the vineyard, Jesus will succeed and his twelve disciples constitute a new Israel. I have been using my iPad for a little over a year now and it has become an indispensable tool for reading and research. About a year ago I wrote “Top Bible Apps for the iPad” on Reading Acts, and it remains a good starting place for people looking to use their iPad for Biblical Studies. The Bible Apps I review then have all been upgraded over the last year, but the functionality is about the same. 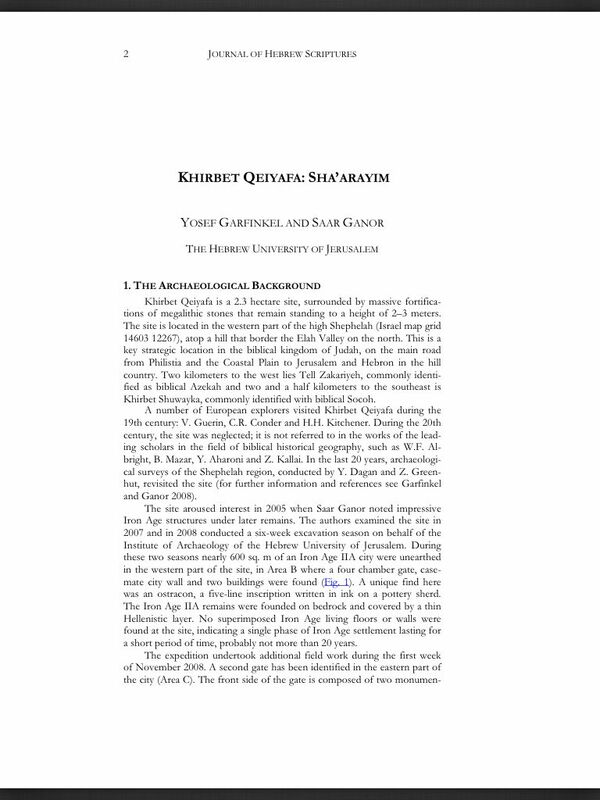 In the last year I find myself using my iPad to read not only books but also journal articles from databases as well as proofing things I have written. Although my experience is on the iPad, these tips will work for an Android device as well. Since much of what I say here concerns the Kindle App on the iPad it is all applicable toa real Kindle device. The first tool you need to get is the Kindle app from the iTunes store. This is a free download, Amazon gives away the reader to tempt you into buying books. This strategy certainly worked on me since Amazon usually has a “deal of the day.” I have picked up a remarkable number of good books free (or cheap) for reading with the Kindle App. When you register your Kindle app, Amazon will assign you a Kindle email address. You should make a note of this address and authorize your own personal email under the “Manage your Devices” tab in the Kindle store. The second tool you need is the Send to Kindle app from Amazon (Windows and Mac versions are available). Once you install this app, you can right-click on a file and send it to your Kindle email address. You can send a number of different formats, including PDF and DOC. Assuming that you have authorized your own email, the file will appear on your Kindle, or iPad Kindle App, as a book which can be read as any other Kindle book. If you send a DOC file you can highlight and annotate, but PDF’s cannot be highlighted or annotated at this time. Another handy tool for reading on a Kindle is a Chrome extension, Send to Kindle. This little extension works in the Chrome browser and will send a web page to your Kindle for reading later. I use this for longer web-pages or to archive a biblioblog that I think I may need later. These HTML pages are converted to a PDF format and can be highlighted or annotated with the Kindle. I use my iPad for most often for reading journal articles. Using the ATLA database through our library, I find an article of interest and send the PDF to my email. I can either copy it to my DropBox or send it to my Kindle as described above. Prior to buying an iPad, I either read the article online, or printed it for future reference. Anyone who has written a dissertation knows that you end up with a small forest of printed papers when researching, by reading on my iPad I save some time and money by not printing out articles. I sometimes send several articles on a topic to my Kindle app and head off to a coffee shop. Naturally this method will work with any online database that allows students to save files for offline reading. There are other readers available, including Google Books, CloudReader, Bluefire Reader, Stanza and (of course) iBooks, but my preference at this point is the Kindle reader. All of these readers are really front-ends for online book stores and they all have nearly the same functionality. If you want to transfer PDF files to one of these other readers, I recommend using DropBox. Copy the PDF to your DropBox folder, then select it on your device, and choose a program from the “open with” menu. Alternatively, you can copy the files using iTunes. I should mention that the Bluefire Reader allows you to read DRM-protected Adobe Digital documents. This is necessary for reading galley proofs from publishers from services like NetGalley. If you have an Adobe ID, you can authorize Bluefire to read your secure books. I use the Logos Bible App daily. It is the best app for reading books, although the books must be purchased through the Logos or Vyrso store. There is no import function for Kindle books or other e-reader formats at this time. While this seems like a negative, the Logos Library is rich in material for biblical studies. If a book is available in Logos and Kindle, I will always choose Logos version. This is primarily because Logos books have real page numbers (not “locations”) and the footnotes appear at the bottom of the page you are currently reading. Logos has an excellent note-taking system with a wide variety of highlighting features. Notes I make on my iPad are automatically saved online, and they are immediately available on my desktop version of Logos. I have several notes files for various topics (Gospel of John, for example), and as I read I add highlights and annotations. I can cut and paste these notes into my word processor when I am reading to write. These tools will get you reading on your iPad, in the next installment, I will comment on a few note-taking programs for the iPad. April’s free book of the month was John Bunyan’s Grace Abounding to the Chief of Sinners. Make sure you grab this classic before the month is out. 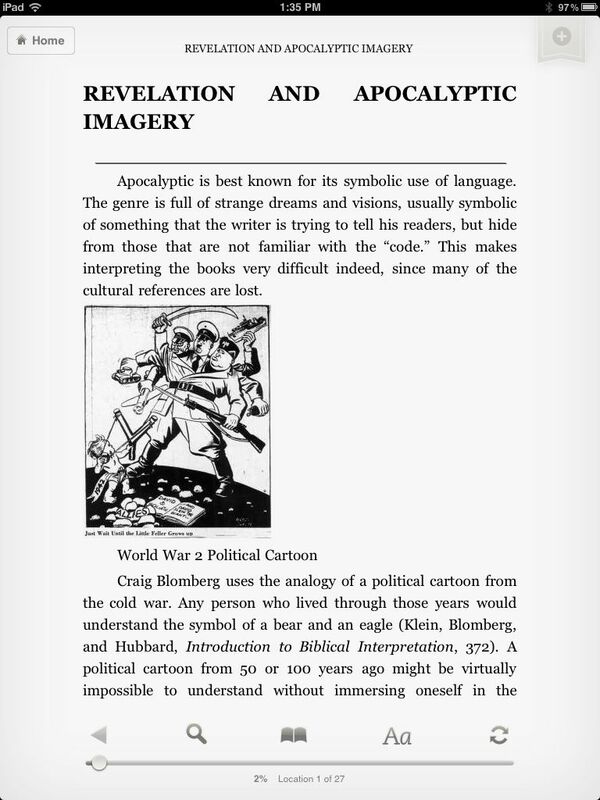 The book can be read with either Logos Bible Software, Vyrso, or Bilbia.com, either on your desktop computer or using the Logos App for iPad or the Android. Follow the link to download the book and enter the drawing for the Complete Works of John Bunyan. Grace Abounding is a classic Christian work which has long been available in the public domain via Project Guttenberg and similar sources. Logos has converted the text for use on their Logos platform and added a brief introduction to the work. 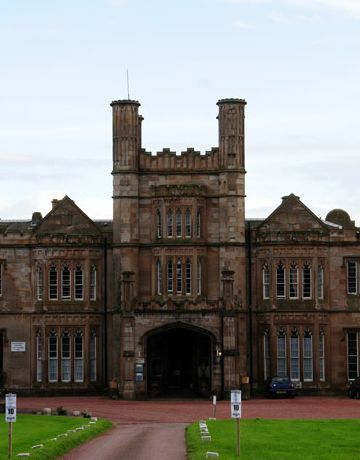 John 14:2 – What Happened to the Mansions? But very few (if any) modern translation uses the word “mansion.” For example, the ESV and new NIV both have“in my father’s house are many rooms.” That is quite a difference – from a mansion to a “room”? What happened to the mansions? The Greek word used here (μονή) simply means a place to live, either a stopping place on a journey or a home. It is used for an apartment in a larger building. The translation “mansion” is based on the Latin Vulgate, the Latin word mansiones means more or less the same thing, but the English cognate usually means a grand home, a palace-like structure of some kind. Since the idea of God living in a mansion resonates with most people, “many mansions” has stuck in the imagination. But what would “in my father’s house are many mansions” mean? That God has a vast Mansion, and the disciples will have mini-mansions within it? That Heaven is alike a big place, like Versailles? This is likely not the point. Hearing this metaphor in the world of the first-century, especially within the world of a Galilean Jew, will help understand it better. Most families were patrilocal, meaning they would live with their father’s family as mich as possible. When a son got married, he would build a house on his father’s property, creating a common courtyard. It is possible that he would begin my adding a room on to his father’s house. Within the world of the metaphor, then, Jesus is going to return to the father’s house and expand the father’s house so that there is room for the new residents who will soon join him. It is likely that this is a marriage metaphor, since the most obvious reason that a man would expand his father’s house would be to bring his bride home to live there. The point is that Jesus is going to prepare a place in the presence of God for his disciples. Since he has gone to prepare a place, the disciples can be assured that Jesus will return for them (v. 3b-4). If this is a marriage metaphor, then it is obvious to the original audience that the departure of Jesus (the bridegroom) will result in his return to collect his bride (the disciples). That is the way these things work, a separation of the engaged couple is normal, the husband to be goes off to prepare a place for his bride to live after they are married. Sometimes a problem has many solutions. While I enjoy “lateral thinking” exercises, I am always frustrated because I can come up with a solution to a problem which “works” in my own mind, but is not the solution the exercises was looking for in the first place. For example, there are many solutions to the problem of “how to turn on a light switch.” Some are better than others, but in theory they all “work.” I could walk over and flip the switch; I could tell my kid to go flip the switch; I could toss things at the switch until I hit it just right; I could write an App for my iPhone which used the internet to access the power grid to make my light come on; I could shoot at the switch with a pistol, etc. 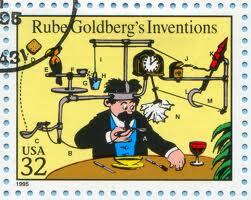 Think about a Rube Goldberg device. These were imaginary devices which tried to solve a problem (light a match, turn on a light) with as many (bizarre) steps as possible. There are actually a lot of options for turning on a light! 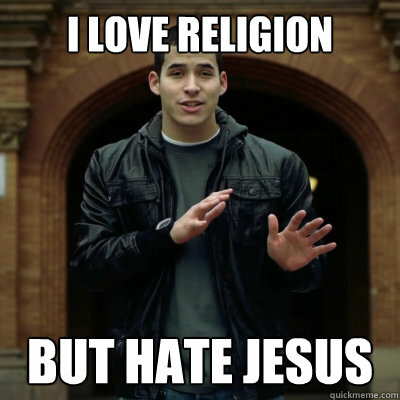 Some people have the mistaken impression that religion is the same sort of thing. There are hundreds of religions out there, and they all have advantages and disadvantages, things which attract followers or drive them away. The noble seeker tries out all sorts of religions to see if he can get closer to God, perhaps drawing from a variety of religions to find some sort of spiritual peace. This sort of multi-culturalism is popular in the modern world, few people like to hear that there is only one correct religion. That sort of claim is prejudiced, dangerous, or rude. Yet that is exactly the claim Jesus makes in John 14. Jesus claims to be the only way to God, he says in these verses that he is the Way, the Truth, and the Life, no one can come to the Father unless they come through him (John 14:6). This is not a random line in the middle of the gospel, this is the theme of the whole of John! Jesus is God, made flesh, the one who reveals the only truth that there is in the world, and the one who provides life (resurrection from the dead and eternal life). If someone wants access to the Real God, he has to come through Jesus. This was the core of the gospel as it was first preached, Acts 4:12 states that clearly that there is no other name under Heaven by which a person can be saved. As politically incorrect as that is, that is claim Jesus makes and that is the teaching of the whole Bible.